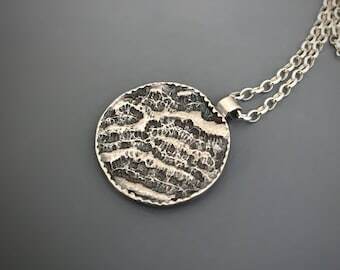 *Offered here is a beautiful sterling silver round Shaakh pendant necklace. 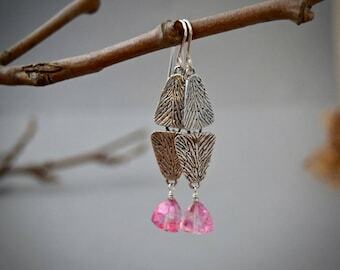 It is so very enjoyable to see a design born and come to fruition from a drawing. 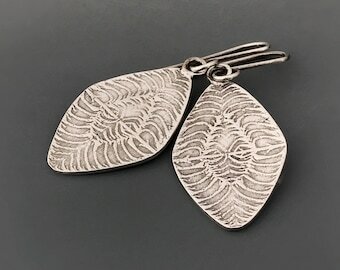 I am making a series of jewelry designs based on textures derived from my nature inspired drawings. This texture here reminds me of branches on a tree as you look up. *Wear your love of nature in this wonderfully crafted pendant with organic pattern! 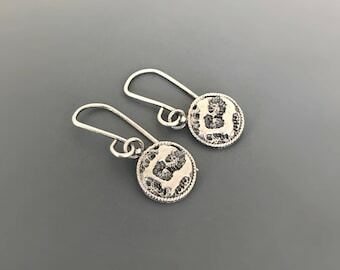 Made with solid thick sterling silver. 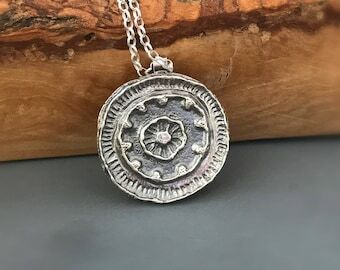 There is a lovely light of play due to the embossed pattern in this pendant. 'Shaakh' in Hindi means branch. 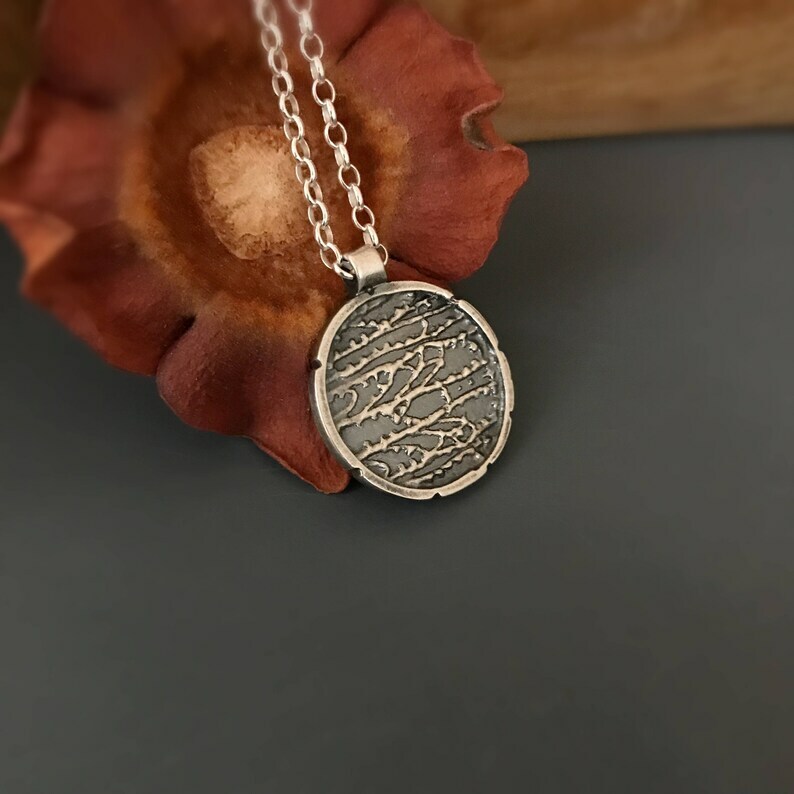 * This design is offered in variations as bright silver with oxidized chain and oxidized silver pendant with bright sterling silver chain. Please indicate your preference while ordering. 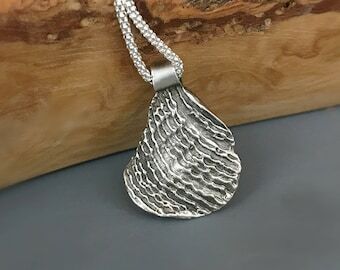 This pendant measures about 1 inch including the bail and hangs from a 16 inches beautiful, sterling silver chain. Chain customization is available for extra cost. Please convo, if you wish to do so.